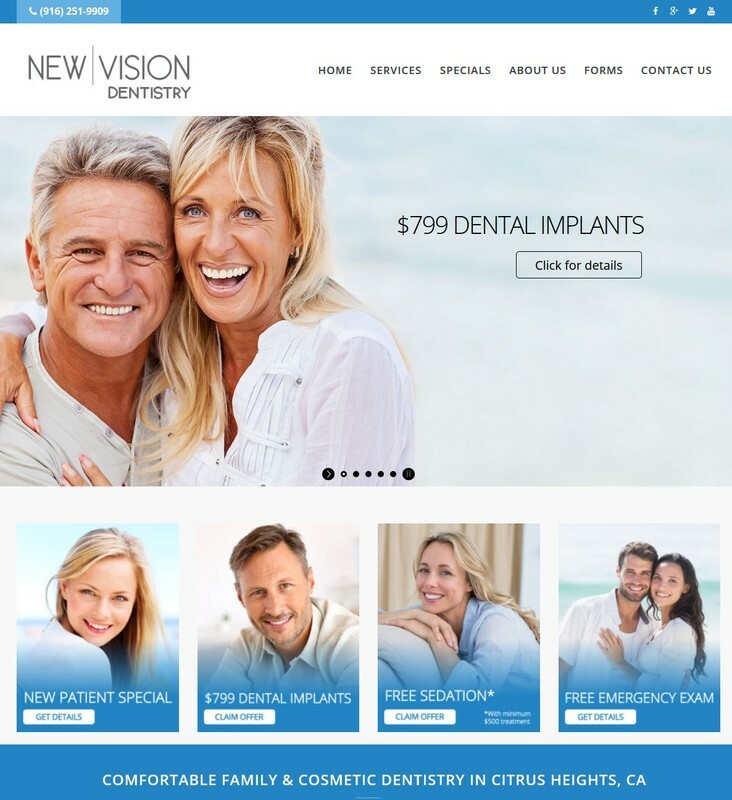 You can be sure New Vision Dentistry will put your best smile forward with our wide range of services. Dr. Azouz and his staff are currently taking new patients in their Citrus Heights office. Contact us today, or view our specials to get or maintain your healthy smile.